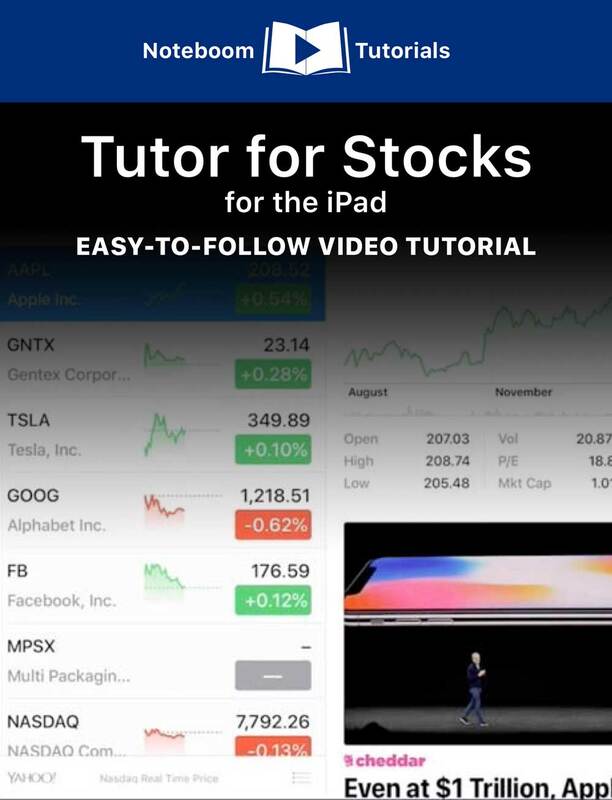 Download Tutor for Stocks for the iPad as an iBook. This iBook contains all the lessons from our tutorial. Once the file has finished downloading, when you open it, it’ll open in the iBooks app. If you download the tutorial to your Mac (which we recommend), when you open the tutorial in iBooks, the tutorial will also become available in the iBooks app on your iPad and iPhone. Once the tutorial has been installed on your Mac, iPad, or iPhone, you’ll be able to view all the lessons even if you are offline.